The five-acre Gravelly Meadow vineyard was originally a prehistoric river bed. Today, this stony, gravelly soil drains rapidly, and the vines must struggle for moisture. 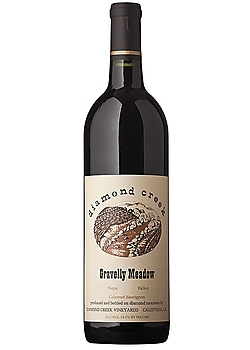 Gravelly Meadow is also this esteemed winery's lowest yielding vineyard, typically producing a Cabernet that is earthy and a touch cedary, as well as jammy with ripe blackberry with a spicy expansive finish. This one needs time. And more time. After which it will blow you away. Copyright © 2014 See Me For Wine.